It’s a good man that gives his shoes. Particularly one that gives them to someone he doesn’t know. I met Greg Kightley nearly two years ago during one of my regular early morning walks along White Rock Beach. He and I often walk together catching up on the happenings in our respective lives. 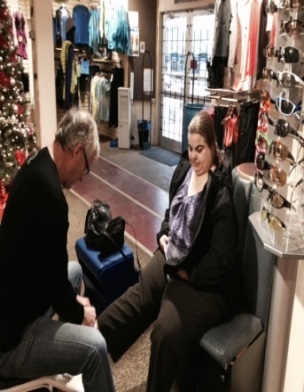 Sure enough, Lisa Farrow of Peninsula Runners contacted me a day or so after to announce the generous donation of shoes and ask me to identify a person associated with our programs who could make good use of them. I sent an e-mail to all the staff at Semiahmoo House Society and one of our Personal Development Worker, Brianna Hopaluk, was first to respond. 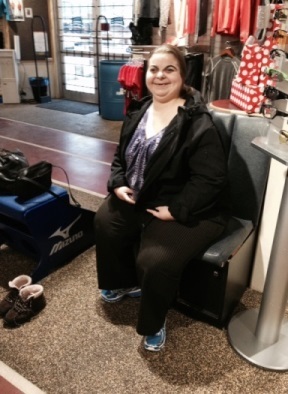 She advised that Toni, one of the Program’s participants, had worn out shoes and could use a new pair. Thank you, Greg Kightley and the staff at Peninsula Runners!